As part of the larger Lifeline Urgent Care, this clinic has affiliates with the closest other clinic being in Katy about 7.5 miles away and is open today from . 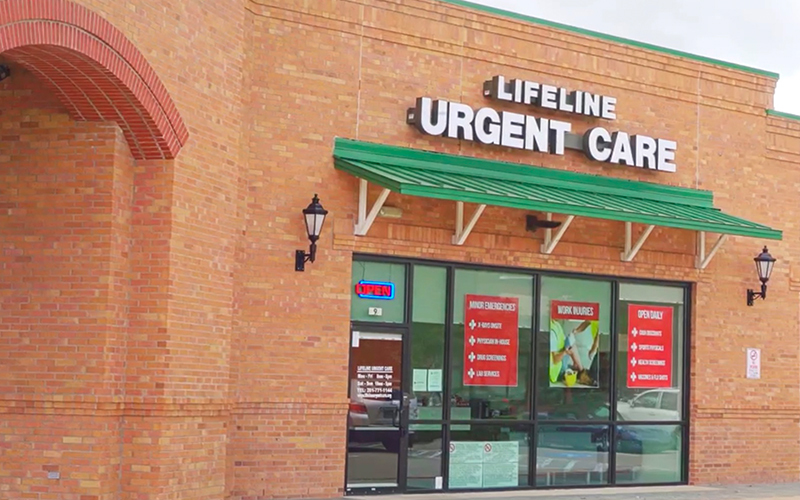 Recognized favorably amongst their patients, Lifeline Urgent Care, Houston has an average rating of 4.8 stars out of 5 based on 131 total ratings. The base price for an office visit at Lifeline Urgent Care is $120 with additional services being an extra charge. Patients typically pay between $20 - $120 for common services. Lifeline Urgent Care accepts many major insurance plans and multiple forms of payment, making it easier to get the affordable care you need. It is always a good idea to contact your insurance company before your visit to ensure the Clinicis in network for the service(s) you're seeking. I chose the clinic for visiting my son who had been having fever and severe cold and cough for few days. The staff from nurse to doctor wes very attentive and we received an accurate diagnosis. Staff professional, took time to answer my questions, knowledgeable, and will recommend to friends. I have come here and to their other clinic in Katy several times and have always had excellent experience. I brought my mom, who was visiting me with travel insurance and it was a breeze to get her checked up. Will continue to come. I drive all the way from Sugarland to come here as really prefer this place. Great service, friendly staff and less time then my GP’s office! I have been so sick and I felt heard. Everyone made me feel very comfortable and much better. Great dr and staff. Such a friendly, and respectful receptionist. I will definitely be back next time I’m in need of care. Also, it was training day and I received a shot that I didn’t even feel!! No soreness at all.